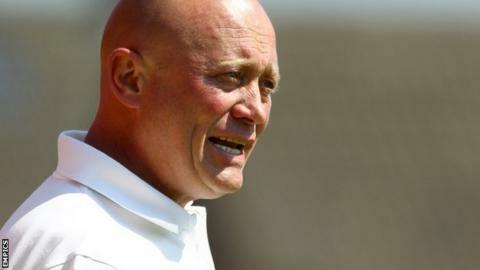 Alfreton Town manager Nicky Law is convinced his side are showing signs of improvement despite still being in the Conference Premier relegation zone. The Reds were beaten 2-1 by promotion-chasing Gateshead on Tuesday and have now lost 16 of their 23 league games. "In the last three games we have made steady progress, but it's the same thing again as we have lost." 53-year-old Law told BBC Radio Derby. "But if we can play like that against the lesser teams, we have a chance." Law, whose side are second from bottom of the table and six points from safety, added: "We have to take belief into Saturday's game [against Nuneaton]. The Reds conceded 20 goals as they lost their first six league games of the season, but in the 17 Conference Premier games since then they have only conceded 25. "We went out against what I think are the best passing team in the league and we passed the ball really well. "The first 20 minutes we were great; we kept the ball worked it well and had a good shape, but we didn't score, and when we don't get the opening or break we seem to change things when we have no need to. "There are positive signs. They are small steps we are making, but we are making them. "And there is not too much damage done. Everyone else around us lost and we are still in there."